September 2013 - We are now SOLD OUT of Shield of Draumm (Hippo) action figures from the Four Horsemen's FANtastic Exclusive project. 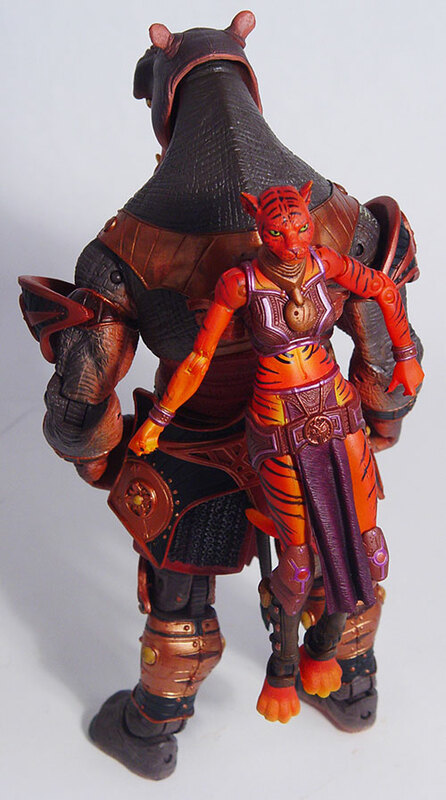 We still have a fair amount of Raavia the red tiger action figures available. You can find them on our eCrater storefront. August 2013 - We are down to the last seven (7!) of the Shield of Draumm (Hippo) action figure from the Four Horsemen's FANtastic Exclusive project. These last Hippo figures are the oddballs that I've been reaching past each time I look for a figure to fill an order. They have been moving from case to pile, and pile to case, and it is finally time to say goodbye to them. They each have their own listing on our eCrater storefront, so you can get a feel for their imperfections. 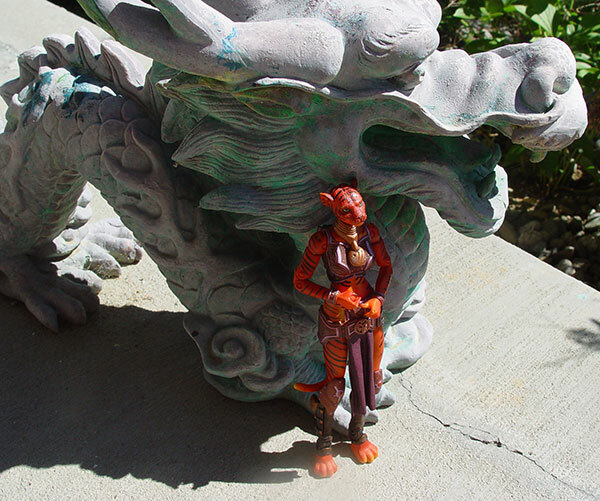 We also still have a fair amount of Raavia the red tiger action figures available. They have their own listing on eCrater. August 2013 - Do you still need a Shield of Draumm (Hippo) action figure from the Four Horsemen's FANtastic Exclusive project? 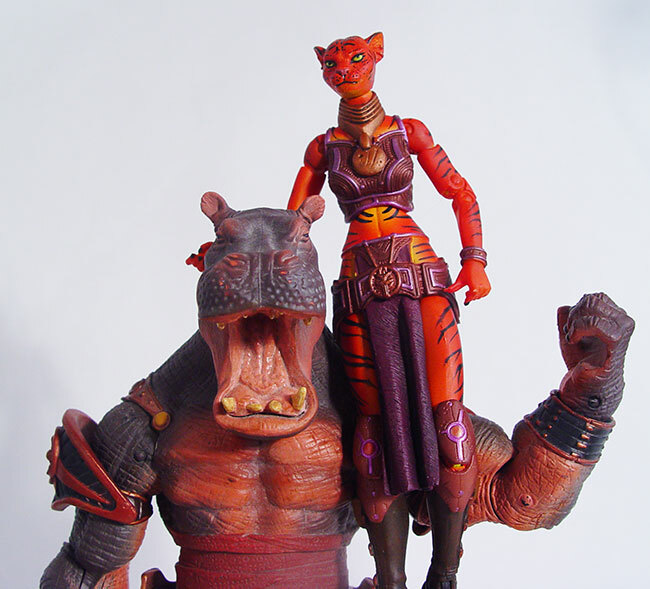 We counted, and as of August 8th, and we have just 27 Hippo figures left. You can find them on our eCrater storefront. July 2013 - The Ravens Kickstarter seems to have renewed interest in the prior FANtastic Exclusive action figures, so we've unearthed our remaining Hippo and Tiger action figures in our basement and refreshed our eCrater storefront. 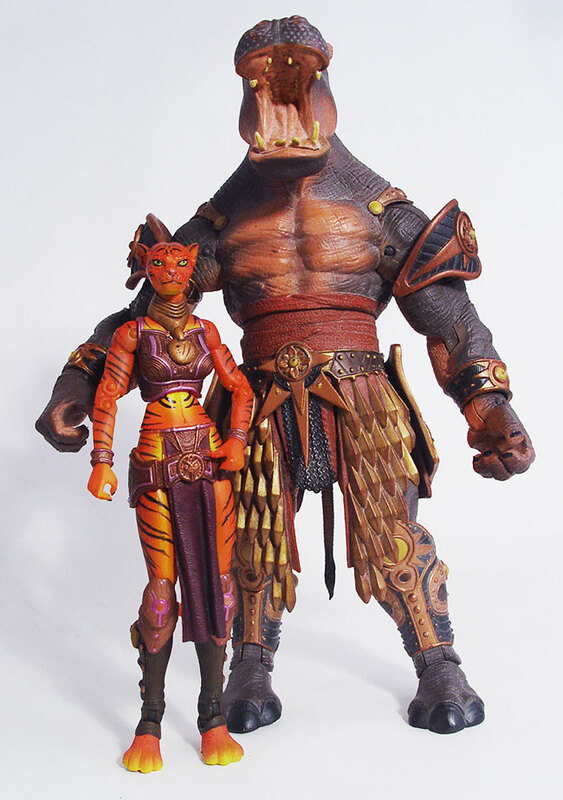 We still have a fair amount of perfect Raavia the red tiger action figures available, but all of the remaining Hippo Shield of Draumm action figures are imperfect, and we've dropped the price to reflect that. There are a few imperfect "scratch and dent" Tigers available: we'll add those to eCrater from time to time as individual listings with a lower price. We are located in the US, and are willing to ship internationally, but bear in mind that international shipping costs are very high. As an example, recently postage was $49.70 for a carded Hippo shipped from the US to the UK.